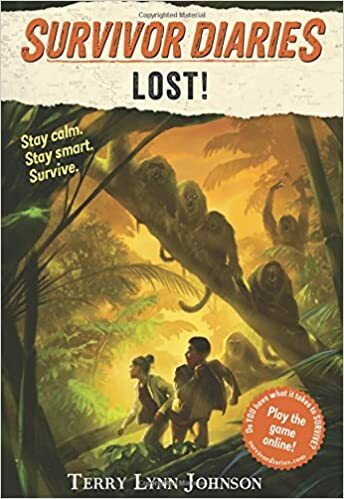 In the first chapter, one of the two protagonists, Carter, a young African American boy, is interviewed by a reporter about surviving being lost in the Costa Rican rainforest. We learn that his friend and fellow survivor, Anna, a white girl who is older, taller, and stronger than him, will be interviewed the next day. Knowing the children survive alleviates a sense of doom in the chapters that follow, which pull us back in time six weeks to when Carter and Anna disappeared into the rainforest. Carter and Anna are interesting, nicely developed characters. I appreciate the near equal attention paid to both characters, although it is a first-person narrative told from Carter’s point-of-view. The book is sure to appeal to both girls and boys. Anna is a brave, bold, seventh grader strong enough to give her father a piggy-back ride. Carter describes her as “taller and stronger than any girl I’d ever met.” Carter is younger, shorter, and has been diagnosed with anxiety. Throughout their short adventure, Carter develops strategies to manage his anxiety that he takes with him after the children are safely home. Johnson folds a lot of interesting tidbits about animals and survival into the narrative, which encourages curiosity and invites further research. This early chapter book will make a great addition to classroom and personal libraries. It’s a fast-paced read likely to engage reluctant readers. The diverse racial and gender identities of the characters as well as their age difference invites readers to consider friendships based on things other than shared identities, in this case survival! * Reviewed for the Cybils Awards.